Marie-Monique Robin is an award-winning French journalist and filmmaker. 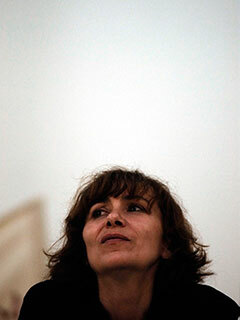 She received the 1995 Albert Londres Prize, awarded to investigative journalists in France. She is the director and producer of more than thirty documentaries and investigative reports filmed in Latin America, Africa, Europe, and Asia. Robin is the author of The World According to Monsanto: Pollution, Corruption, and the Control of Our Food Supply and Our Daily Poison: From Pesticides to Packaging, How Chemicals Have Contaminated the Food Chain and Are Making Us Sick (both published by The New Press), among other works. She lives outside Paris. Kirkus Reviews recommends Our Daily Poison as "one of the most important books of the year" for readers interested in environmental, public health and food safety policy.